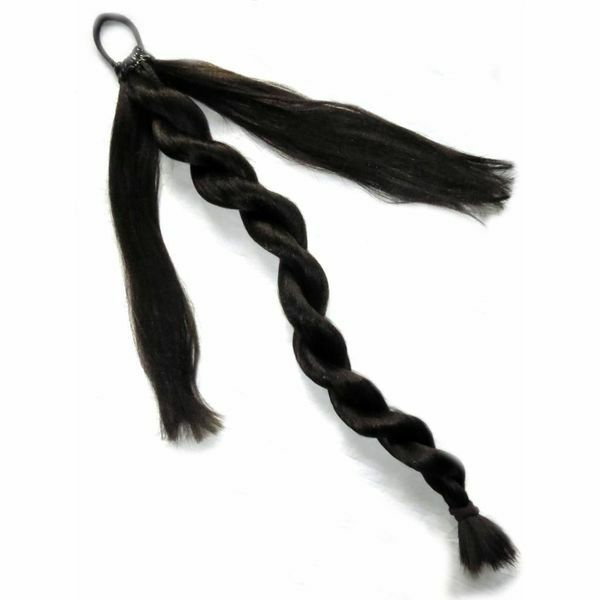 Braid hair pieces are made to order and customized in color, volume, length & texture. Use them for many stylings like large hair buns, neat topknots, too - some you can even wear as open hair falls! 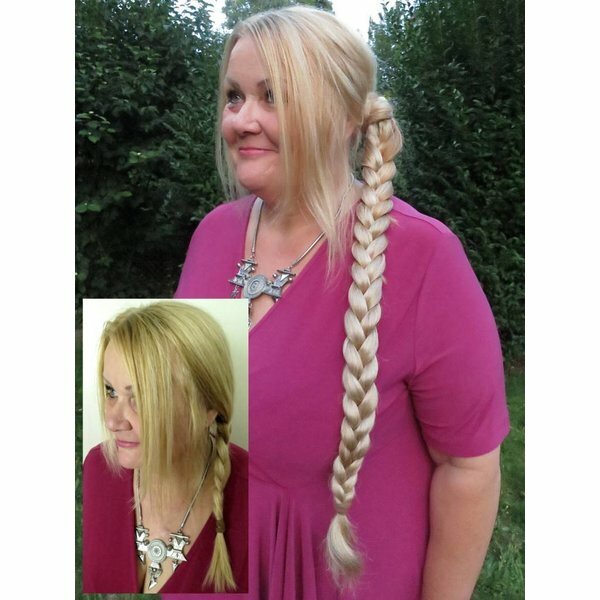 Braids by Magic Tribal Hair are super long-lasting hair pieces, because they can be opened, combed and be braided again - they look like new every time you wear them! Never wear a fringy braid again! 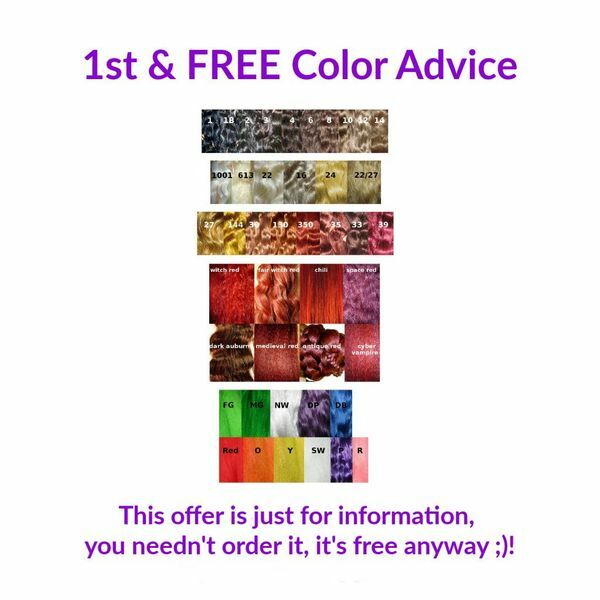 Your hair color can be matched perfectly including highlights, lowlights and all shades! 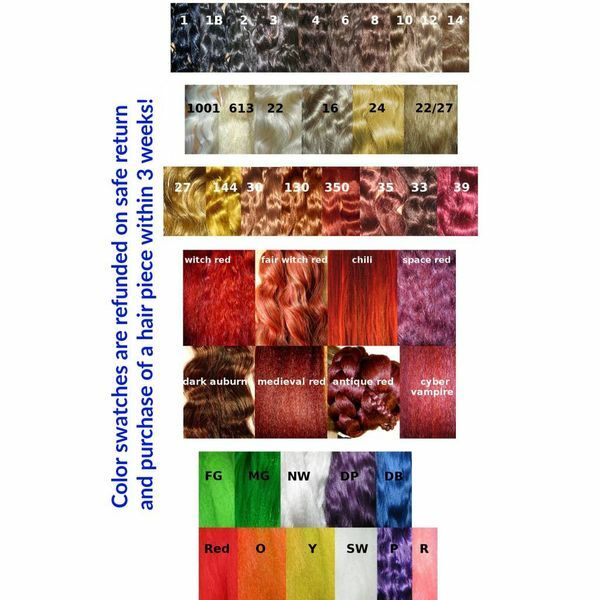 All prices for 50 cm/ 20 inches long hair braids include a custom mix of up to 3 basic colors, a fourth or fifth color can be added at extra costs. 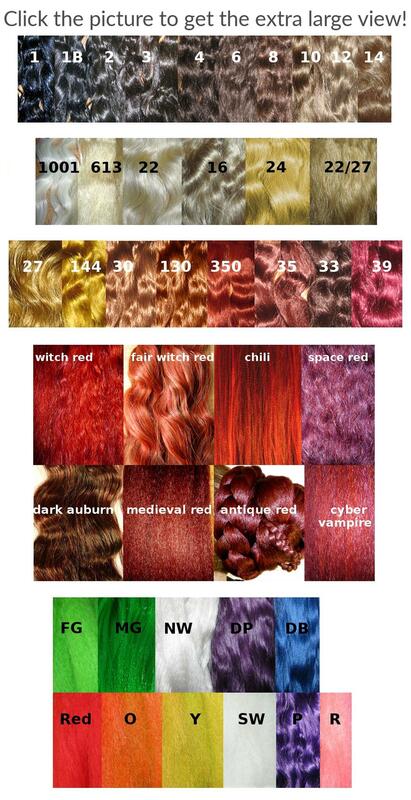 Click here to see the extra large color charts for 50 cm/ 20 inches long hair braids! 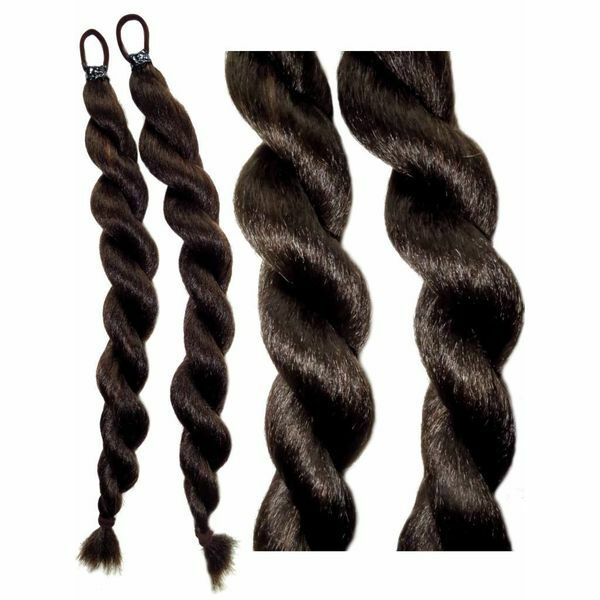 Each offer refers to one braid model which means a specific volume size in wavy or crimped hair texture. This model can be ordered in any hair color! Most models are available with crimped and wavy hair. Braids of crimped hair are a bit thicker than braids of wavy hair, because crimped hair offers more volume. It is also easier/ quicker to braid. But if your own hair is straight or wavy, a braid of wavy hair will look more natural, of course. 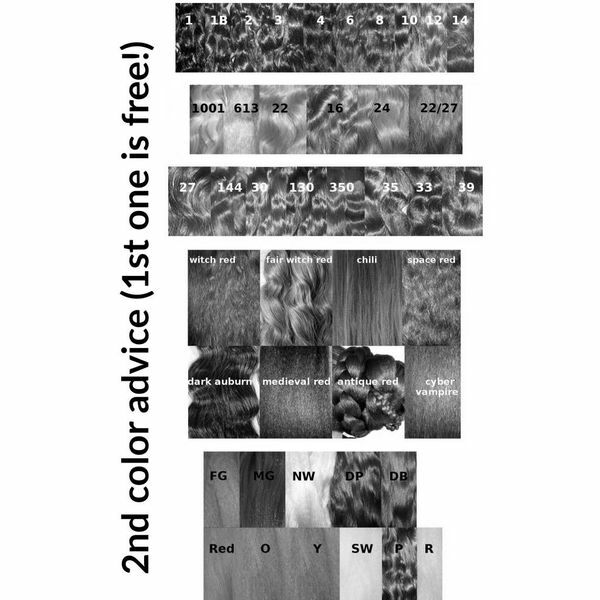 There are sometimes several listings for the same model in order to show it in different hair colors straight in the overview. The professional one is convenient for all kinds of hair, provides extra strong hold and can hence be used for dance and theater performances, too. Some extra pompous braids do we offer with professional "fishtail" attachment only. But we actually highly recommend the professional "fishtail" attachment for all braids. 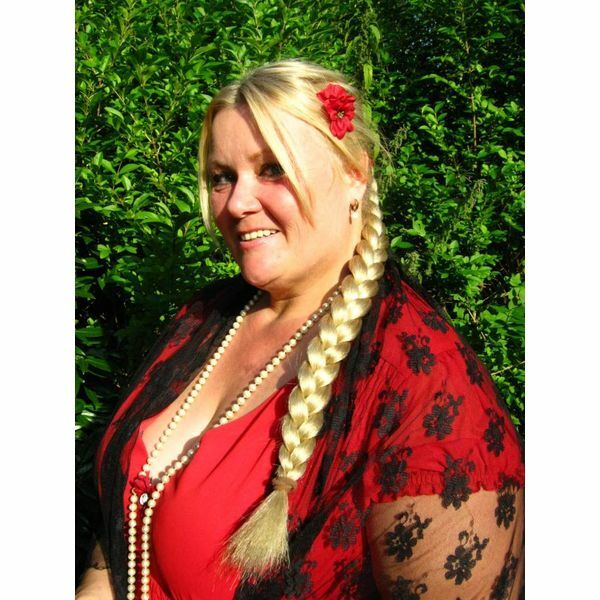 Braids by Magic Tribal Hair are perfect multi-purpose items - use them for many stylings! 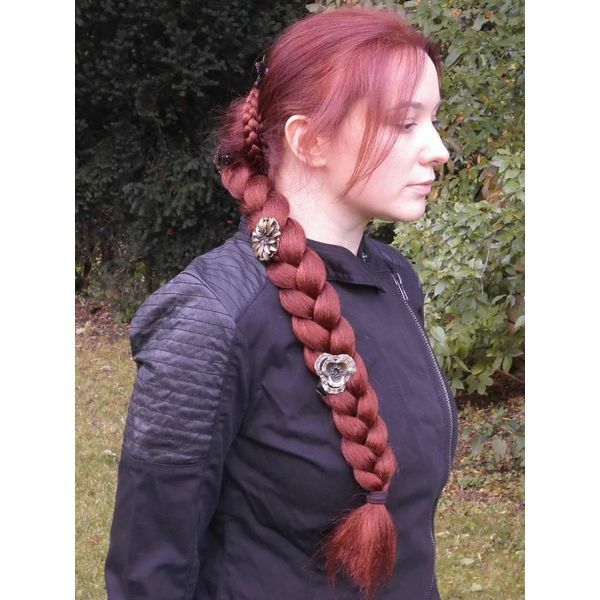 Larger/ wider braids and pairs are also beautiful as open falls. 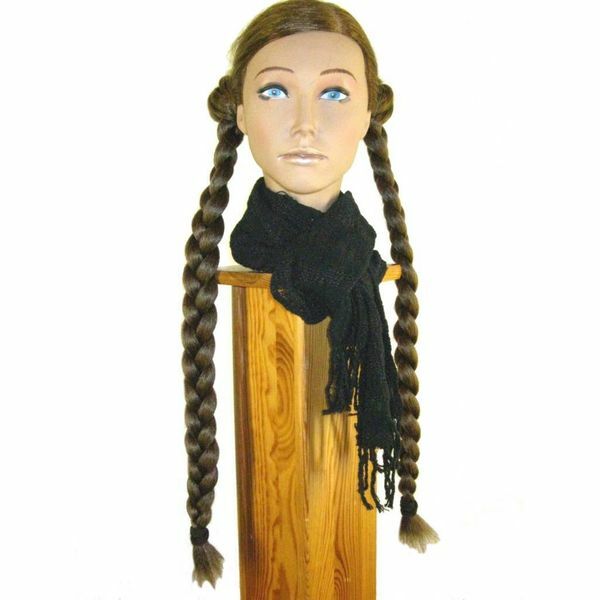 The most popular sizes for this purpose are size L of wavy hair and the pair of size S braids of wavy hair. Braid or twist your braid to change your braid styling! The models of crimped hair are better for twisting, because the hair has more volume and can be twisted more easily. All braids can be pinned up into gorgeous buns as well! You get 2 different buns depending on if the braid is braided or twisted! All pairs can be used for a pair of buns or other braided updos.